With just two days to go, some voters still hadn't made a decision Sunday. Bush, Christie Hang on in N.H.
Jeb Bush and Chris Christie are looking to build momentum Tuesday, hoping to win over undecided New Hampshire primary voters and surprise pollsters with a strong finish. Both candidates are hoping to sway those undecided voters to their sides. Part of their plans are to attack the front runners. 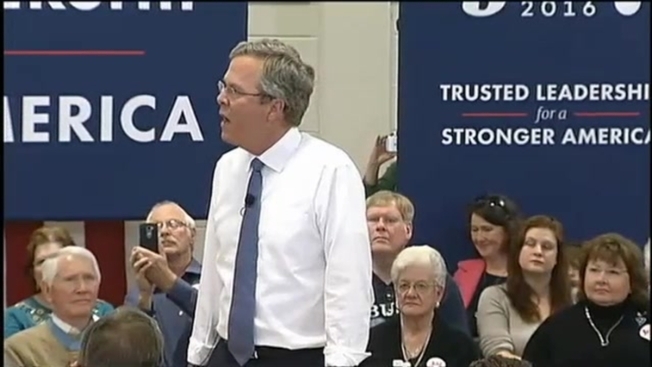 Bush slammed Donald Trump at a rally in Nashua Sunday. Fresh off a strong night at the debate, Christie continued his criticism of Marco Rubio's record. The latest poll numbers have Bush at 7 percent and Christie at 4 percent - numbers that have to improve in order to be considered winners on Tuesday night.